Fillers are substances injected into the dermis of the skin to help provide volume and fullness to areas where natural aging causes volume loss or wrinkles. 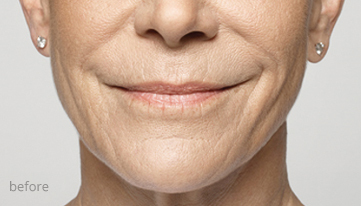 Common areas of treatment include the nasolabial folds ("parentheses" lines), "marionette" lines along the lower face and around the mouth, mid-face (cheeks). There are many options and each filler is slightly different in composition and thickness. Hyaluronic acid (HA) is a naturally occurring substance in the skin that help adds volume and moisture. Hyaluronic acid Fillers are used to restore volume and fullness and treat facial wrinkles and folds. They can also be used to enhance lip fullness. Because HAs are naturally found in the skin, the HA fillers usually have very few side effects. Effects may last from 6-12 months. What are Restylane, Juvederm & Belotero Fillers made of? These fillers are made of hyaluronic acid, a compound that occurs naturally in the body, where it fills in spaces between other proteins, delivers nutrients, and retains water. How do Filler treatments work? Filler treatments work by adding volume to the skin and other facial structures into which it is injected. The hyaluronic acid in the formula is present in the body in nearly identical form already, so Restylane, Juvederm and Belotero are completely biocompatible with the tissue that it is meant to supplement. The extra volume added by the injections can plump and smooth creased skin or change outward facial contours, depending on how the gel is applied. Fillers come in several different forms, all of which contain the same chemical compounds. They differ in terms of the size of their particles, with smaller ones designed to eliminate fine wrinkles and larger ones aimed at softening deeper creases. The providers at The Woodruff Institute can discuss your goals with you and help you decide which Filler treatment is best suited to your needs. The total of filler treatments will depend on how large of an area is to be addressed and how great the desired changes are. Prices for a treatment plan can range from around $500 dollars for a single filler injection to $2500 for a complete non-surgical facelift which volumizes and lifts sagging skin. 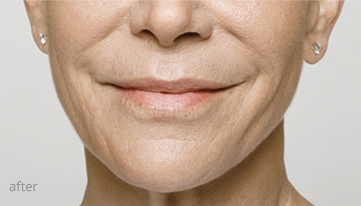 Changes should be apparent almost immediately after Fillers therapy. Because of swelling and the natural processes involved in the assimilation of the new hyaluronic acid, it will take a few days for your appearance to stabilize. Once this stage has been reached, you should be able to enjoy the benefits of the Filler injections for about six months. Immediately following the procedure, patients may notice some swelling and redness, but this will fade within days. The new, rejuvenated look will then appear: the lips or sagging areas of skin will be fuller, large folds will be smoother, and fine lines will be much more difficult to detect. In general, fillers will give your face a younger, fresher, less tired look than you had before. Minor complications can occur, but they are generally light and easy to manage. Filler side effects include pain during injection, swelling at the site of placement, redness, and perhaps some mild discomfort. All are short term and should not cause major disruption to the patient’s routine. As with any injectable dermal filler, there is a chance of bruise. Patients should avoid medications, supplements, and vitamins that thin the blood for one week prior to treatment.